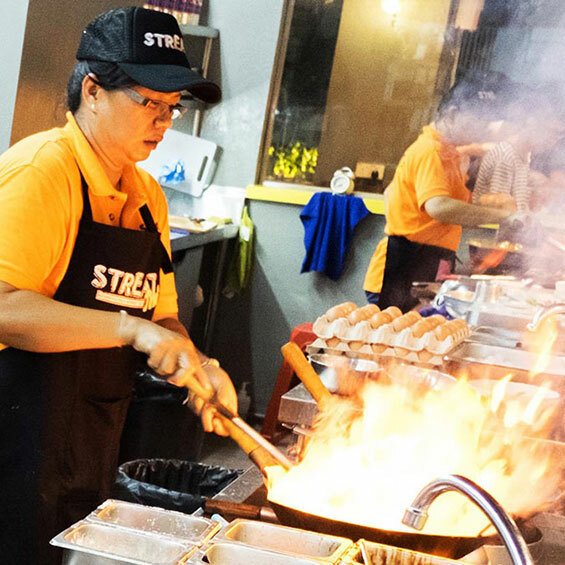 Streat Thai is a casual, relaxed and open-air restaurant featuring live cooking stalls, a 113” high definition projector for football screenings and a stage for live bands. With our strong Thai culture, we will guarantee you warm smiles and friendly service from all our staff. So whether you’re in it for the food, the live band or the football, come over and “chill chill” with us!